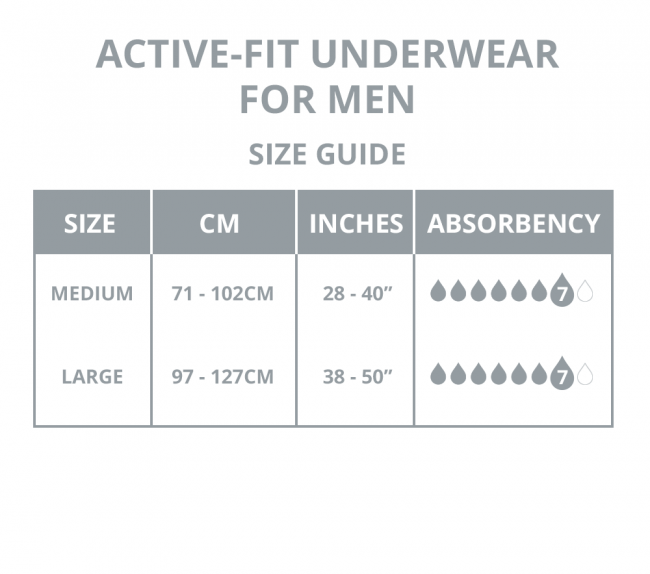 Depend Active-Fit Underwear for Men is specially designed to feel, look and be worn like regular underwear. The Depend absorbency protection system will keep you free from leakages and trap odour all day long, so you can relax without the worry of unwanted odour throughout the day. 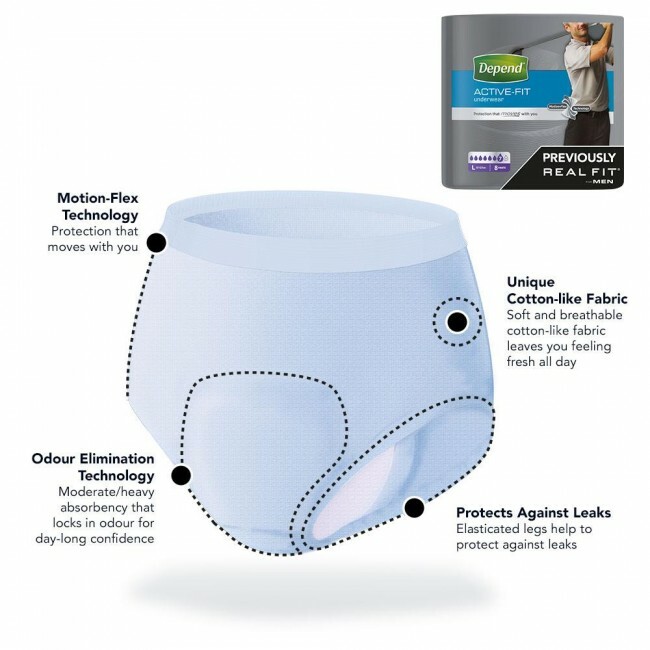 Odour elimination technology is also featured in the pants to further ensure you are protected from any unwanted odour. An elasticated waist and leg are included in the pads, providing a comfortable and secure fit. The waistband and cotton-like grey fabric provides a discrete appearance, creating the look and feel of ordinary underwear. The fabric is breathable and moves with the shape of your body, giving you the opportunity to move around without feeling restricted whilst wearing the pants. 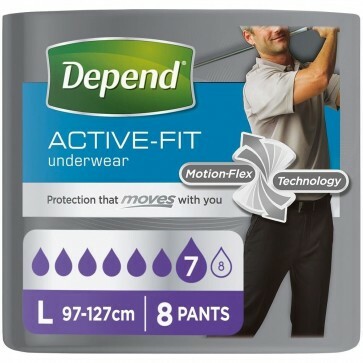 You can guarantee that Depend underwear will be discreet and undetectable underneath your clothing during use. Motion-Flex technology is featured in the pants to ensure you can stay fully protected whilst being active.